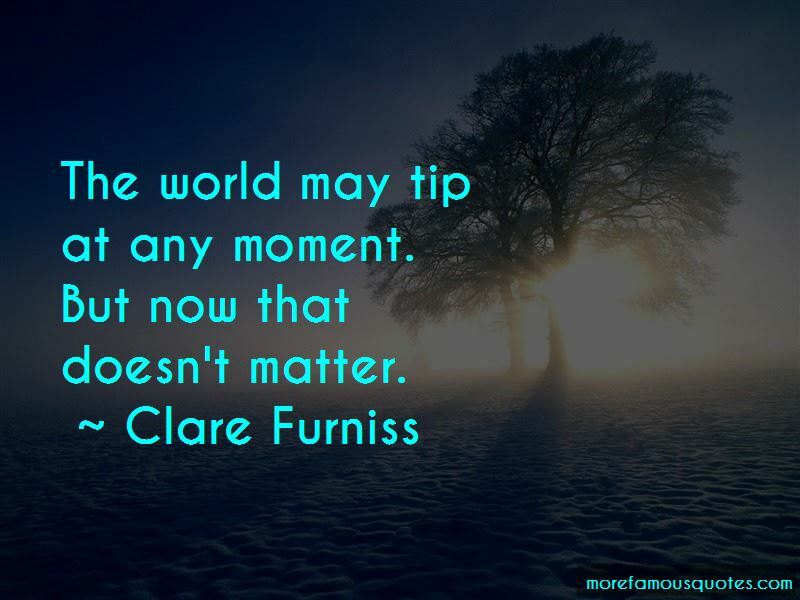 Enjoy the top 3 famous quotes, sayings and quotations by Clare Furniss. For now the world keeps turning and I keep breathing, in and out, in and out. I breathe in the life that is all around me, in this garden, in this city, in the fields beyond it, in the seas beyond them and the shores on the other side; life that reaches out towards the unreachable, unknowable space that is beyond all of us and the stars that burn there. 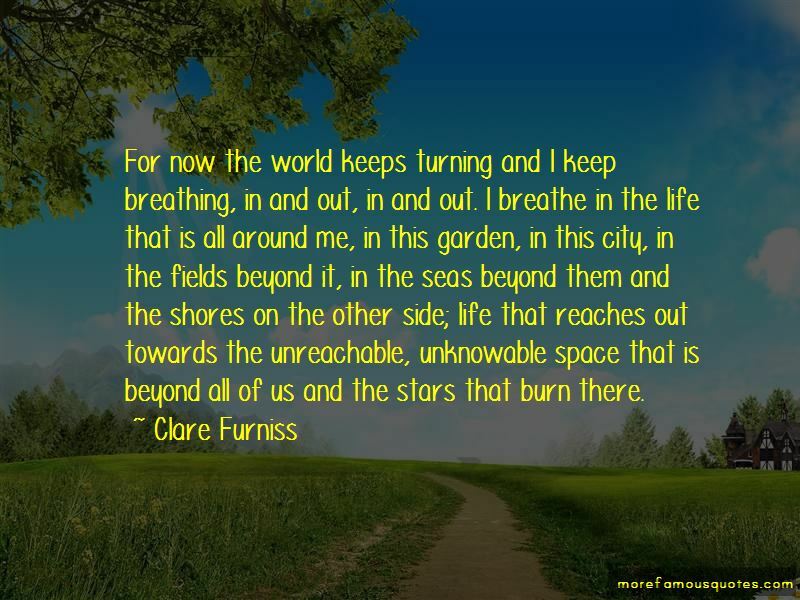 Want to see more pictures of Clare Furniss quotes? 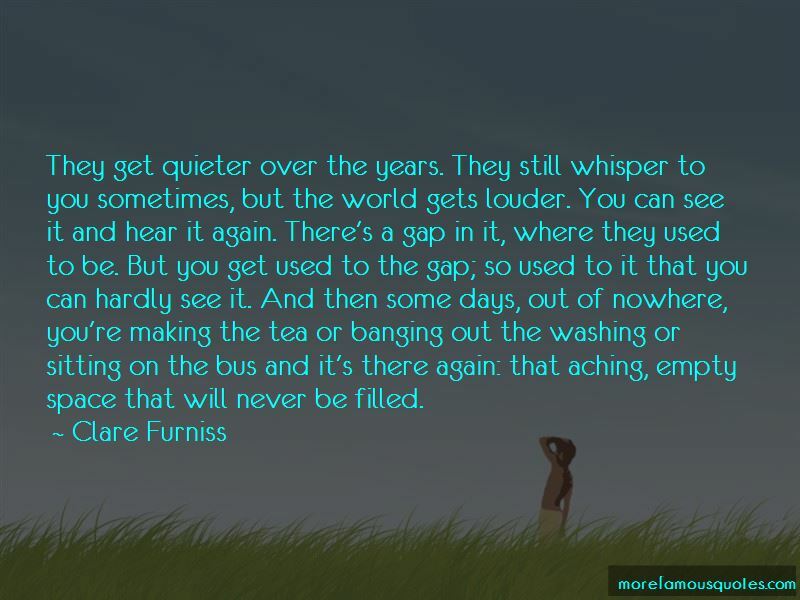 Click on image of Clare Furniss quotes to view full size. “It would be perfect if everyone who makes love, is in love, but this is simply an unrealistic expectation. Id say 75 percent” — C. JoyBell C.